Yesterday, I went shopping for a baby shower gift for a good friend. Her shower is this weekend. And I was doing just fine, thankyouverymuch, until I saw— baby tights. Logically, in my head, I’ve always known that there were tights made especially for babies. I’ve never gone out of my way to search for baby tights, though. 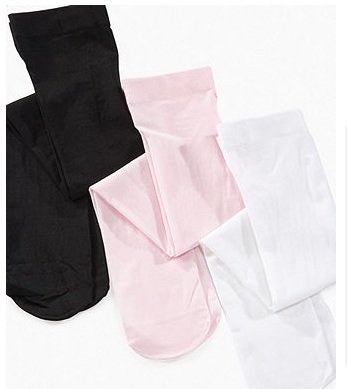 And as I worked my way down the 13 page gift registry in the middle of the baby section in Wal-Mart, looking for a cute little something to round out my very practical gift, my eyes fell on the display of baby tights. I am proud to say that I did not ugly cry in Wal-Mart. But it was a damn near thing. Yes, I’m going through my own infertility journey. And yes, we are currently NTNP (Not Trying, Not Preventing) which partially feels like failure and defeat. And as I said here, I have made a turbulent peace with the decision. But seeing tiny little tights made especially for pudgy little baby legs, I just about broke. It’s not fair. And I’m so happy for my friend and her bundle of joy arriving in just another month or so. But it’s not fair. Nothing about it is fair. I want to shop for baby tights for my own wee one. I want to caress my own swelling belly in long, soothing strokes as I consider nursery paint colors. I want to be the one offered a drink and have to tell them, “Oh I can’t. I’m EXPECTING.” But I cannot. And it’s not fair. And yesterday afternoon, in the middle of a Wal-Mart, standing in front of an end cap display of baby tights- all that unfairness bowled me over. When I got home, I cried. I cried for baby tights.